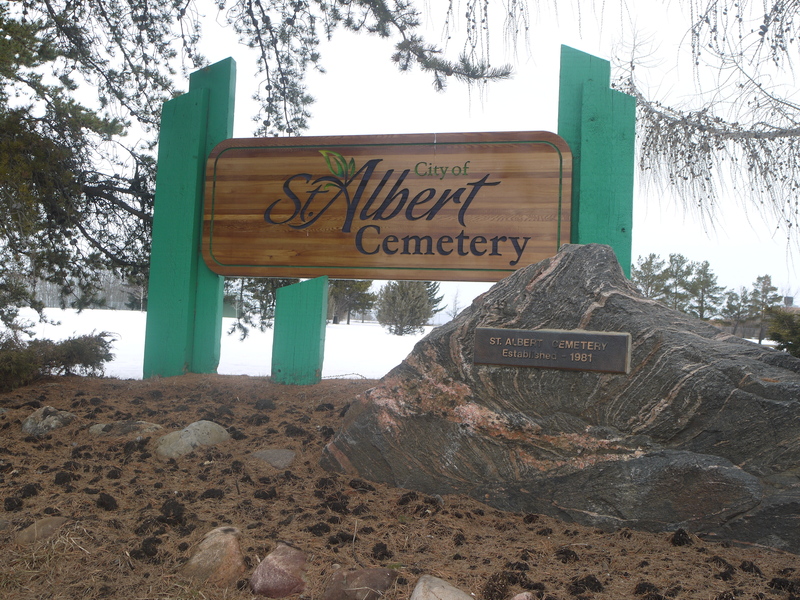 I arrived at the St. Albert Municipal Cemetery at 11:30am on Monday, March 9, 2015 glad that my car had made it up the unpaved, muddy mess of Poundmaker Road. 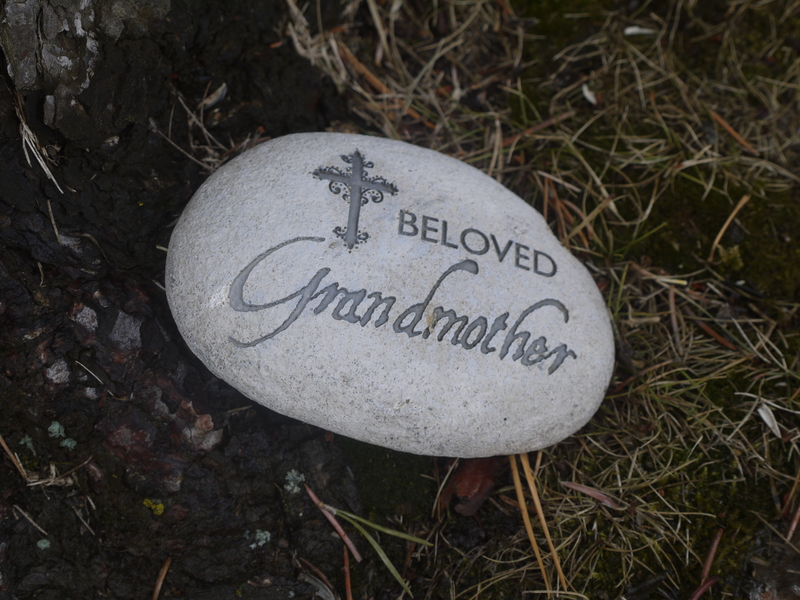 The cemetery was deserted, so I drove through the pond of melted snow at the entrance and followed the one-way circle to the corner where I’d heard the Aboriginal Cemetery was. 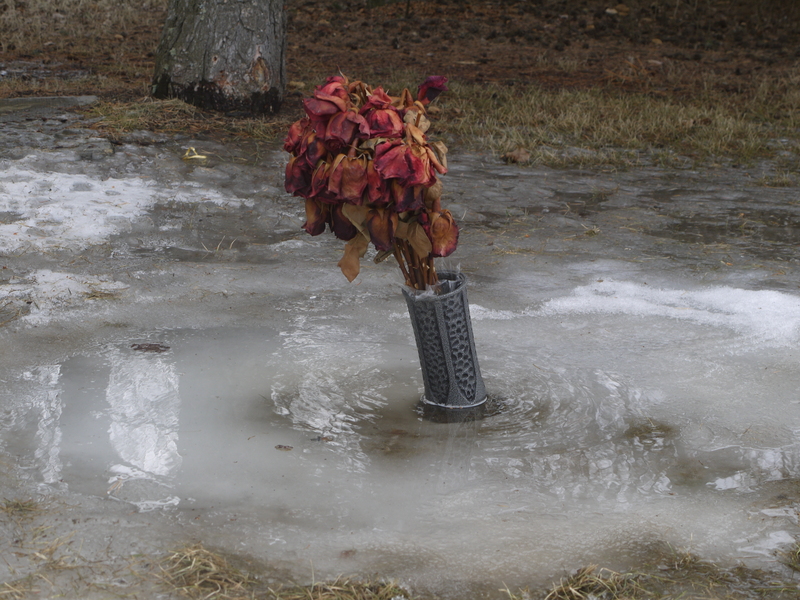 I parked and gingerly stepped onto the water-logged ice, grateful for my rain boots but wishing I’d brought gloves. The snow was packed along the path between the winter grave markers. I walked toward the fence line the cemetery shares with Poundmaker’s Lodge; when I stepped to the right once, I went up to my knee in granular snow. About 10 meters from the fence, a large cairn was surrounded by benches. Just beyond, a giant boulder with a bouquet of yellow and white silk flowers, announced that this was indeed the Aboriginal Cemetery I’d read about. 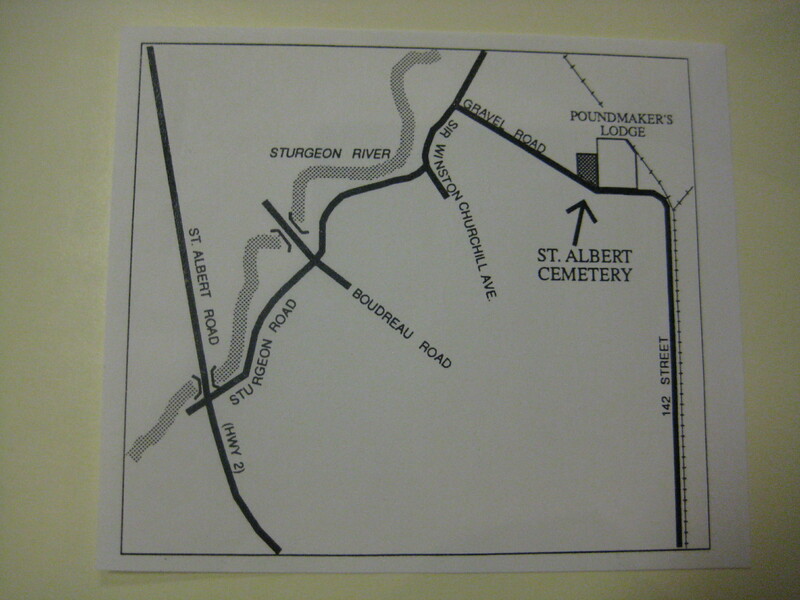 Poundmaker’s Lodge is a treatment facility specializing in indigenous-based healing for addictions now, but it – like the cemetery – sits on the site of the former Edmonton Residential School. It was called an Industrial School when it operated between 1924 and 1966, and the dates for the cemetery, 1946-1966, bump up against that history. According to records and oral histories, boys from the school cared for the cemetery as part of their duties and were paid for digging graves. One source I spoke with, who preferred to stay anonymous, said the principal would keep any money earned in trust for the boys until they graduated. According to this source, it ended up being a welcome bit of cash when they left the school to start their adult lives. But whose graves were they digging, and what was the connection to the Camsell Hospital? The answer, I would soon discover, was in that imposing cairn. Interesting I enjoy readying and learning about history. 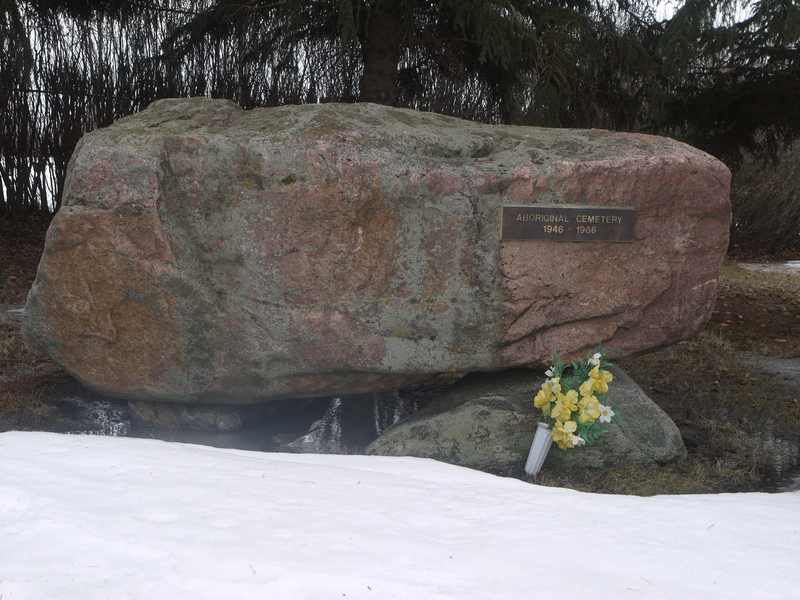 did you know a boy was buried alive there from the residential school he was sick and noone wanted to deal with him, so they sent two boys to go bury him before he died. I read about this in the Edmonton Sun.Each day for a week they featured a different survivors story from both residential schools.One of the survivors said that they boys heard noises coming from a coffin they were about to bury.They got scared and ran and told one of the head guys of the school.The features was about 9 or ten years ago.A person should be able to go to the Sun and look it up in their Archives.A very dear person and elder that i had the opportunity to meet was featured in one of the seven days.His story was so sad and horrible from the abuse he endured.He passed away eight years ago now.